Let your lifestyle be convenient. Feel protected and "techy" with our enclosed two-part garage. Both ground and second levels are equipped with garage doors unlock-able with the Access App downloadable on any device. We have designated units available for those who have a little more decorations for the trending holidays. Some lofts have in-unit storage as the other units are accessible on the ground floor garage for easy access. The fitness room has all the tools to keep your body healthy and lively. Whether you want to sweat or keep cool, this room has a balcony and enough room for you and your workout buddy to keep yours goals attainable. We welcome your loving, furry friends. We ask to have pet records available and up-to-date. 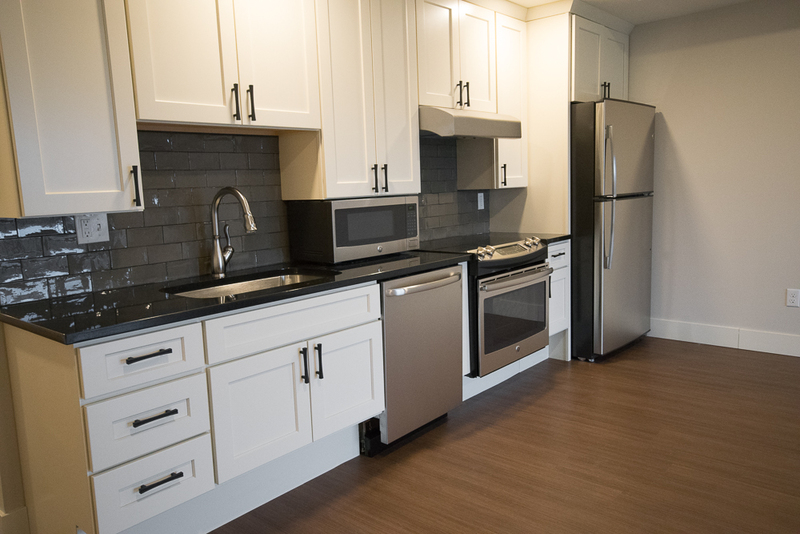 We have lofts on two floors with easy-to-use kitchen appliances and bathroom furnishings custom designed for ADA accessibility. First Street Lofts is more than a housing complex – it's a neighborhood, and any good neighborhood comes with amenities for the locals. Our goal is to provide for you services to allow more time doing what you love.